We’ve just published our new Georgian Alphabet Quiz Now app. 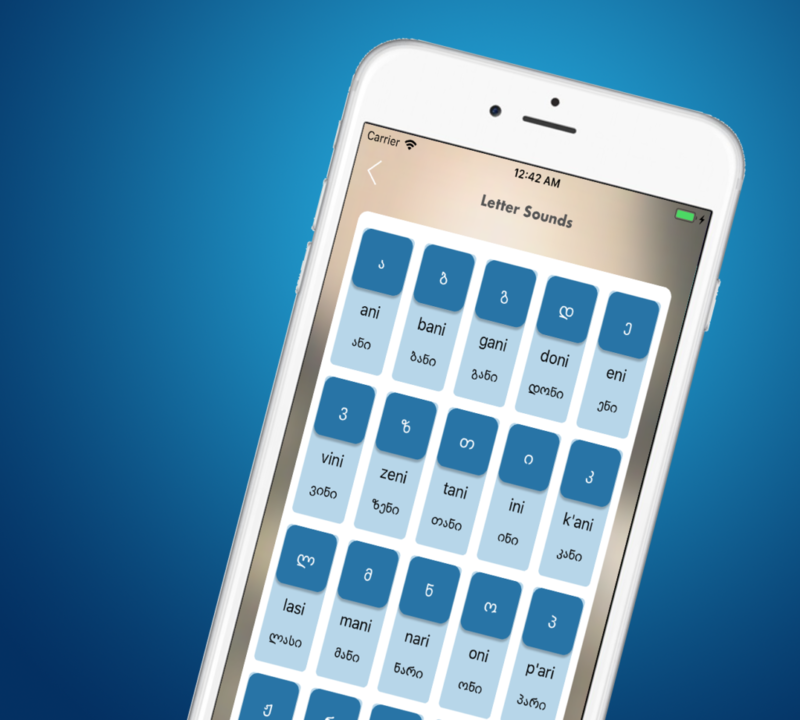 With this new app you get a unique quiz that sequentially teaches you the alphabet by going through the letter form, letter name and pronunciation using a frequency spaced repetition algorithm to make sure you learn the letters. The Quiz will show the letters you’ve learned with less frequency and focus on those that you miss. This spaced repetition frequency method is the key to quickly and easily learning the alphabet. Use the pronunciation guide as a quick reference to the shapes, names and pronunciation of each letter of the beautiful Georgian script. Follow your progression and quickly you’ll see that you’ve learned the alphabet! The app does not require an Internet connection to function.